Animal husbandry is a part of agriculture since centuries. They cannot exist without each other. Cows and buffalos for milk, sheep and goat for meat and bullocks for farm operations are the well-known usages. Fodder generated on the farm feeds these animals. Animal husbandry has become an income generating activity only from last few decades. Earlier people used to hesitate to sell or buy milk. But later on, with the commercialization of farming farmers started selling excess milk. White revolution, which started in 80s in India could give a systematic shape for this activity. Cooperative milk societies and unions started operating across the country after the success of AMUL in Gujarat. Since then animal husbandry has become one of the main pillars of Indian agriculture and rural economy. 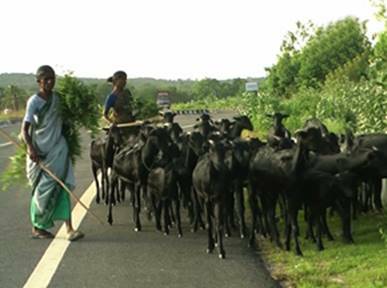 Now a major portion of rural population earns their livelihood with animal husbandry. Dear readers, we have studied many issues like opportunities for dairy farming, breeds of cows and buffalos, dairy management, production of clean milk etc. in the first part of this article. 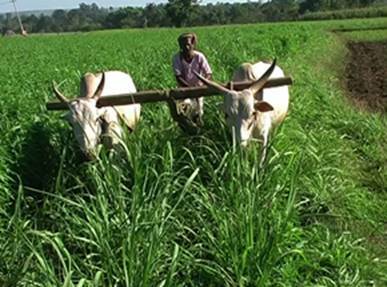 The second part will cover fodder species, varieties and their cultivation, silage making, production of cattle feed on the farm, diseases of dairy animals, dairy machineries and equipment etc. in detail. Why to conserve Indian breeds of cows? Gaavo Rakshanti Rakshita: Cow saves one who saves it. This is the popular slogan by Shri Raghaveshwara Bharati Swamiji of Shri Ramachandrapura Matha, Hosanagara, Karnataka state of India. 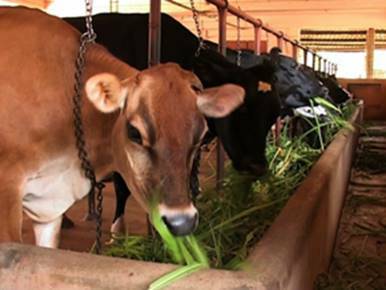 After the disappearance of many Indian cow breeds even the common people felt its importance. Organic farming has come to the main stream again. Without the help of cattle organic farming is almost impossible. Hence the efforts have started to increase the cow population. But now it is not so easy due to drastic change in the socio-economic conditions of rural India. Even then many social organizations, Mathas and few government institutes started working in this direction. 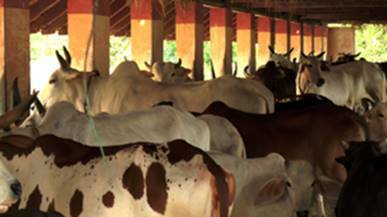 We discuss the reasons for the situation, specialties of Indian cow breeds etc. in detail. 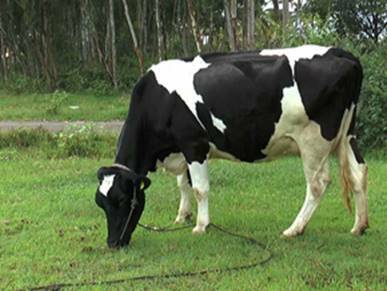 Finally, I introduce and explain all available breeds of cows of India in this article. Agriculture has completed one cycle and is turning its phase. Green revolution proved detrimental in 5 decades. Indiscriminate use of pesticides and chemicals polluted the soil, water and the whole eco system. Off late our farmers are looking back. Now we find organic movement everywhere. But most of the farmers are in confusion about both the systems. They question whether total organic is possible and feasible. 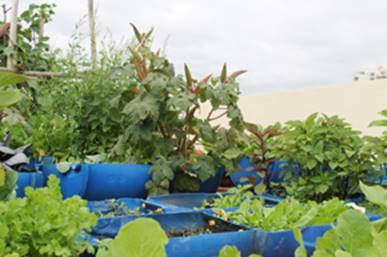 This article will discuss the necessity, possibility and opportunity for organic farming in detail. Dear readers, we have studied the bad effects of chemical farming, principles of organic farming, methods of supplying nutrients, composting, vermi-compost, Panchagavya etc. in the first part of this article. In this second part let us study non-chemical methods for pest and disease control, organic certification, marketing etc. India is a country with diversity. We find all types of cultures, clothing and food habits. Globalization has added a lot to our food menu also. Non-vegetarian dishes are common along with vegetarian items. Beef and pork are not that popular in India compared to western countries. Hence goat-sheep-chicken and fish are the main source of non-veg. food. Availability of wild animals has comedown drastically. Traditional animal husbandry is losing its base against commercial mono-culture system of modern agriculture. Even the villagers are depending on chicken-mutton stalls of cities. 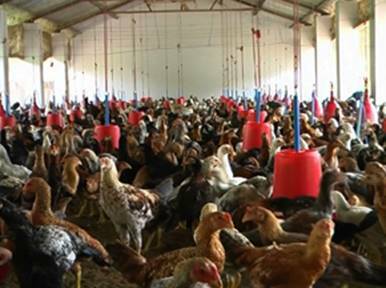 This has created tremendous scope for commercial poultry, goat and sheep farms. This article explains each and every detail of goat farming in India. 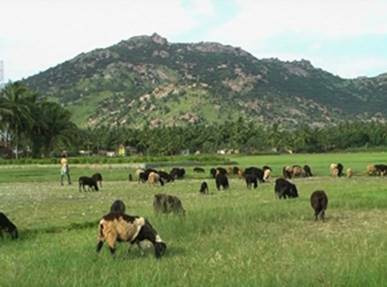 Animal husbandry is the part of agriculture. Cattle are necessary for milk, manure, ploughing, transportation etc. Likewise, pig-goat-sheep and poultry birds are being reared for meat and egg. These subsidiary activities are getting commercial shape and importance. And thus are becoming main activity generating rural income. Professional approach is seen in selection of breeds, feeding and management. Farmers in the clutch of uncertain rainfall, labor scarcity and fluctuating prices are moving towards goat, sheep and poultry. Even the dairy farmers are diverting to sheep and goat farming. Area under horticulture is increasing rapidly in recent years. Certainty of yield and income, lesser labour requirement, government support, export potential etc. are the main reasons for this expansion. 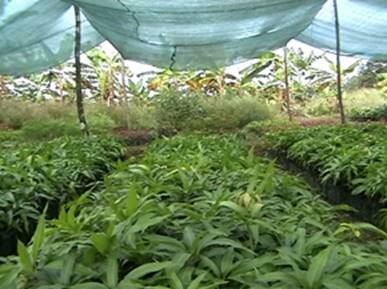 Perennial plantation crops like mango, banana, grape and pomegranate are the favorite crops of our farmers. 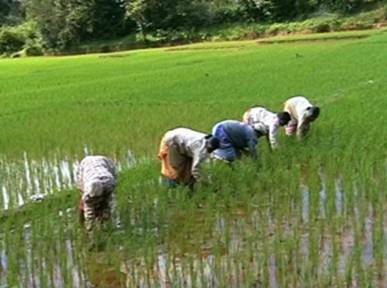 Availability of irrigation water and power influence the choice of crops a lot in these days. Hence pomegranate, which needs very less water, is the main attraction for our farmers. Commercial cultivation of pomegranate has spread from Maharashtra to Karnataka, Gujarat, Andhra Pradesh, Tamil Nadu and to many other states in last 2-3 decades. Even the employed people of the cities entered pomegranate cultivation looking to its high returns. Even though pomegranate is proved to be a high value crop there are some problems and challenges too. 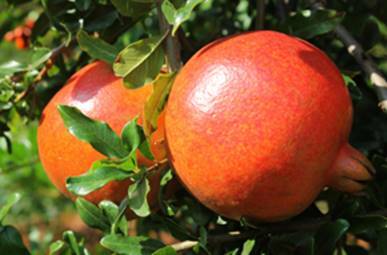 This extensive article explains everything on pomegranate cultivation. In the nature plant species have various mechanisms for reproduction. Seeds, rooting on the stem, tubers and suckers are the important ones. Plant propagation techniques became popular with modern horticulture for asexual multiplication of commercial plants in large numbers. Grafting is an age old practice. But its commercial application and new techniques started few decades ago. Tissue Culture is another popular asexual method of multiplication of plants. But it is commercially successful only in soft wood plants like banana, cardamom, flower and ornamental plant species. Population in the cities is increasing exponentially. Everyone is busy. More than half of them are the migrants from villages in search of livelihood. They left green and calm environment and entered concrete forest. Most of them feel that their children miss the experience and benefits of natural healthy rural life. Parents visiting city homes of their children cannot tolerate polluted city atmosphere even for a week. We find dust and smoke everywhere. Even healthy person experiences suffocation. People with Asthma and Allergy find it difficult to breath. Village life is just a sweet memory for senior citizens who left their villages decades ago. They cannot go back now. A small relief for all these feelings is having a kitchen garden. There is no space left for ever increasing population itself. Then where do you plan a garden? The answer is Terrace Garden or Rooftop Garden. World population is growing exponentially. Demand for food is increasing every day. Rainfall has become uncertain and ill distributed may be due to climate change and global warming. Uneven and untimely rain has disturbed the rain fed farming a lot. Drought is a common natural phenomenon since the ages. But the effect of drought is extreme now. Even the irrigated areas are not safe. Water storage capacity of the reservoirs has come down due to silt accumulation. Many times those dams also get half filled. Indiscriminate and unscientific irrigation resulted in marshy land and saline soils in most of the project areas. As a result, the world started facing shortage of food grains. Scientific inventions took man to Moon and Mars. But we cannot eat anything else than food for our survival. The shortage of food will be still worse if we do not take immediate and necessary action. It is said that the 3rd world war will be for food and water. Horticulture is the priority sector now. 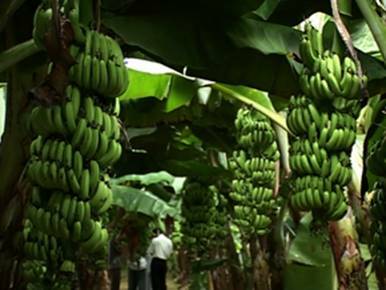 Short duration crops like banana are occupying more area. Fertilizer responsive high yielding varieties are the first choice of our farmers. Banana is the only major fruit, which can be grown and marketed around the year. Banana stands second next to mango in the list of fruits in India. It is important in our menu also in the form of fresh fruit, chips, dry fruit, vegetable etc. Banana fiber for agriculture use, leaves as meal plates, green fodder for cattle are the other usages. It is a common natural shade for small areca plants. Banana species originates from Southeast Asia. Hence it is seen everywhere in this region. Grape is a major and popular fruit of India. Coloured seedless grapes attracted the consumers in a better way in recent years. Farmers are also reaping handsome profit due to modern crop management practices. Grape wine is popular in western countries. But in India major portion of grape is consumed as fresh fruit. A small portion of it is utilized for raisin production. 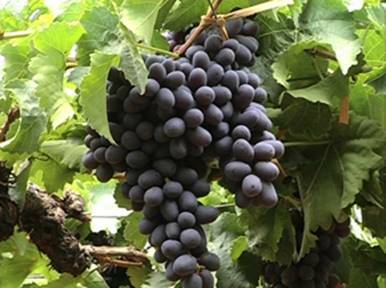 Hence we find grape varieties suitable for table purpose in most of the grape cultivation areas of India. Maharashtra, Karnataka, Andhra Pradesh, Punjab and Tamil Nadu states contribute 90% to the grape production of the country. Uttara Pradesh and Haryana do have some area under grape cultivation. 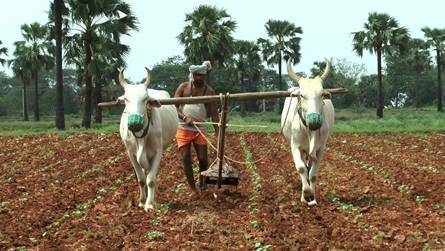 Rural agricultural environment is the platform of bio-diversity. Plants- trees- animals and birds etc. get equal importance here with the man. Cattle goat sheep chicken are the important members of farm families. Country chickens were very common in the villages earlier. But now are seen rarely due to the popularity of broiler chicken in rural areas. Even the village goddesses like Maari and Maasti are getting these broilers only as offering. Improved standard of living and life style of rural people, commercial broiler farms in every village etc. have contributed a lot for this change. Commercial layer eggs are being used for medicines also. We do not know, whether this is right or wrong, but the changeover is quite evident. Population of the country is increasing by every second. It puts pressure on the forest for space and food. Non-vegetarian food is becoming common in modern society. Farm grown animals and birds are in great demand due the shortage in the forest. New species of birds and animals are brought in to commercial rearing to meet the requirement. 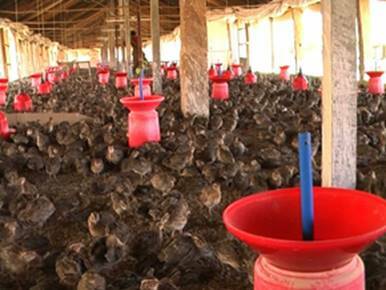 Farming of country birds is one of such efforts. Country chicken, Turkey, Japanese Quails, Ducks, Guinea fowls etc. are coming to the main stream in recent years. This article explains everything on Japanese Quails and Ducks. Of course the large scale farming of these birds is new to Indian farmers. We tried to compile all possible details from experienced farmers and research stations.